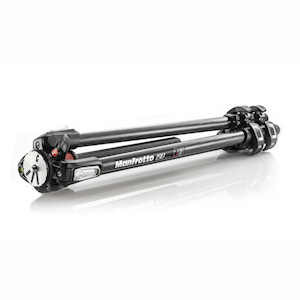 The Manfrotto MT190CXPRO3 is a compact, lightweight and rigid 3-section tripod with carbon fiber leg tubes, a host of advanced features and excellent build quality. 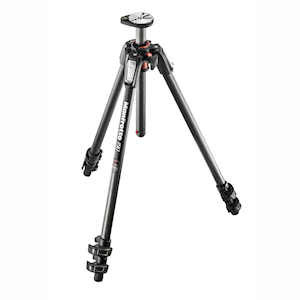 The key feature of the MT190CXPRO3 is its 90° center column mechanism, which allows the column to be extended vertically as normal, or horizontally to open up a wide range of framing and shooting possibilities; this makes the MT190CXPRO3 an extremely versatile tripod, suitable for a wide range of photography and video applications. 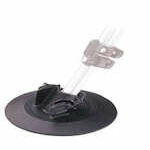 The horizontal column mechanism is housed within the tripod's top casting for compactness, but it is easily and quickly extended whenever you need it. Switching between vertical and horizontal column orientation requires no disassembly, and can even be done with a camera attached. 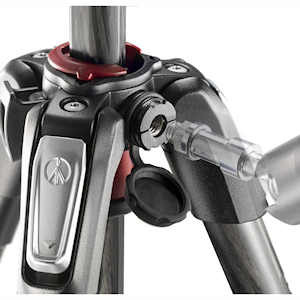 The legs of the MT190CXPRO3 tripod are also fast to extend and adjust, thanks to the Quick Power Lock levers that lock and unlock each leg section. 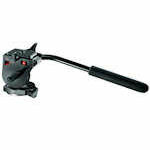 The special design of the QPL levers allows a more comfortable and stronger single-handed grip of the leg locks. 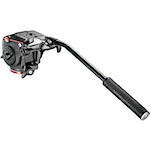 From folded, the sections of each leg of the tripod can be released in a single movement. 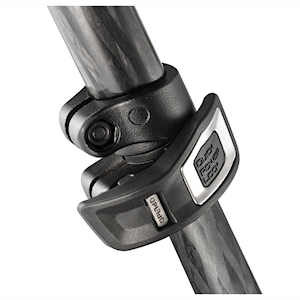 The QPL lever design also offers more powerful locking of each section, meaning the tripod is more stable and rigid than with traditional lever designs. 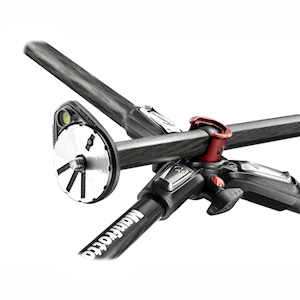 Intuitive and ergonomic leg angle selectors allow each leg to be independently and solidly set to any of the preset angles, again allowing considerable positioning freedom. A bubble level is built in to the top of the center column for precise framing. 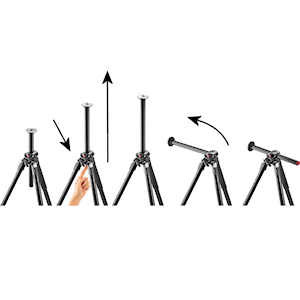 The bubble level rotates freely around the center column, so it can be positioned wherever it's easiest for you to see it while adjusting the tripod, and without it either being obscured by the mounted head and camera, or getting in the way of head or camera controls. 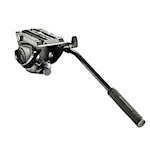 The top casting of the MT190CXPRO3 has an Easy Link connector for supporting a photo or video accessory (such as an LED light, flash, reflector, or other piece of equipment) on an extending arm or bracket, and making the tripod into a practical mobile studio. Max. Ht. (col. ext.) 62.99 in. Max. Ht. (col. ret.) 53.15 in. Product Weight (lbs) 3.53 lbs.